UPDATE: Buy “It’s A Beautiful Day” on iTunes! 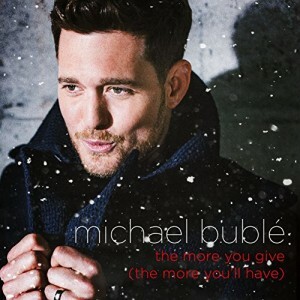 Michael Bublé moves into the top spot with “Hollywood,” pushing The Script’s “For The First Time” to #2. Meanwhile, Maroon 5 scores a whopping dozen debuts, led by “I Can’t Lie” at #3. Michael Bublé trades places with Maroon 5 in the top three, but The Script continues to hold both off. Sara Bareilles scores a second top-five hit from Kaleidoscope Heart as “Uncharted” jumps 14-5, while the album’s title track is the highest of six debuts, all from Bareilles.